Did Harlem Popeyes serve rat head in Rosemary Thomas chicken order? Home Scandal and Gossip Did Harlem Popeyes serve rat head in Rosemary Thomas chicken order? Harlem Popeyes rate head. Fact or fiction? Image via facebook. Harlem Popeyes rat head. Fact or fiction? Image via facebook. Harlem Popeyes rat head: Did Rosemary Thomas end up getting more than what she bargained for when she went in for what she believed to be fried chicken dish? The jury is still out as to whether Harlem Popeyes served Clifton Park, NY, woman, Rosemary Thomas a fried rat’s head instead of chicken during a visit to the outlet, Sunday morning. According to dna, Thomas claims Harlem Popeyes store on 145th St. and Frederick Douglass Blvd. served the meal to her niece, sister and daughter, who reportedly was taken to an urgent care sometime afterward because of diarrhea and vomiting. A report via the nydailynews quoted personal injury attorney Paul Ajlouny telling the outlet that he had been retained to represent the family, but did not have any information about what action they may take. Did KFC serve a fried rat? Devorise Dixon spits out a tail. 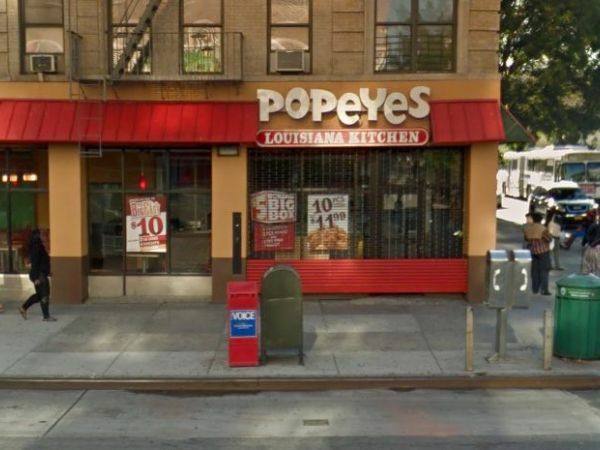 The Department of Health and Mental Hygiene inspected Harlem Popeyes on April 21 and gave it an A grade, with a violation centering around food possibly being contaminated or discarded improperly. Popeyes’ corporate spokeswoman Renee Krapowski responding to the nydailynews said that the franchise owner had contacted the Department of Health and that a subsequent inspection found nothing that would change its rating from an A. She also said that the owner had contacted Thomas’ family and was going to meet them Monday night. 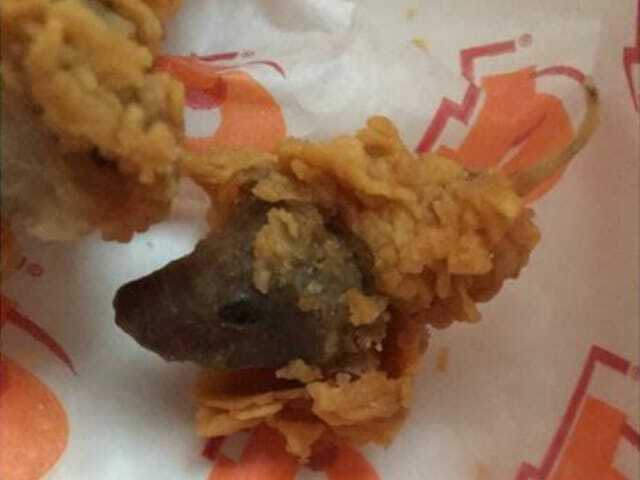 Popeyes’ supplier told the company that the mystery morsel is likely a chicken organ rather than a rat, Krapowski said, though she added that it would be sent to a third-party for DNA testing. Last year a California KFC customer claimed that a piece of meat with a tail-like appendage was a breaded and cooked rodent, though the chicken chain said tests showed it was chicken. Krapowski said that she did not have any statistics about complaints over foreign objects in Popeyes’ meals, but that she did not know of any incidents where non-chicken material was found. Indeed.